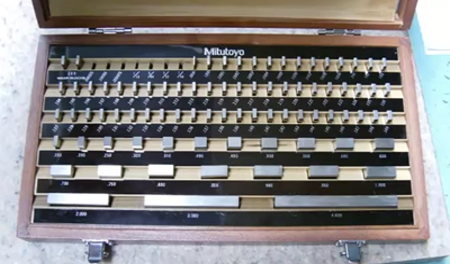 This video shows how to select a gauge using a gauge block buildup with a sine bar to create an accurate inspection setup. 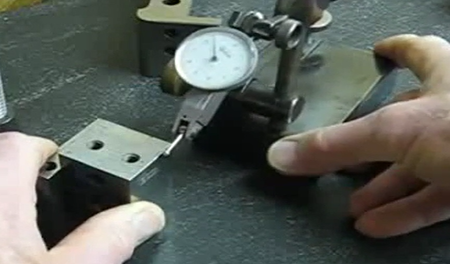 Datum Targets on casting drafted surfaces with post machining requirements to meet end item design requirements. 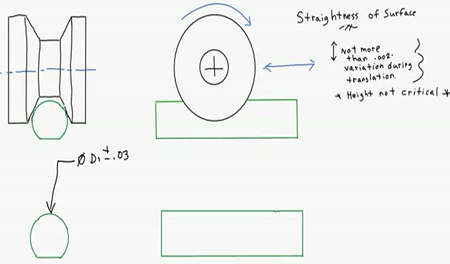 Design for GD&T Straightness on a cylindrical feature and the mating hole feature. 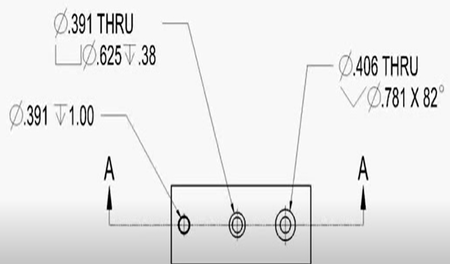 Design for GD&T Perpendicularity tolerances as applied to a bolt through hole and counterbore. 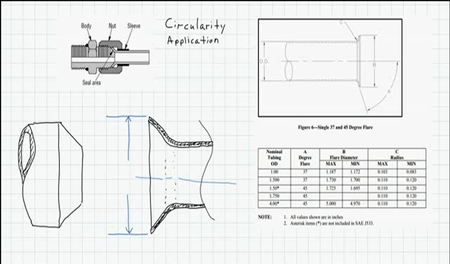 Design for Circularity on a flare compression fitting geometric tolerancing and manufacturing requirements. 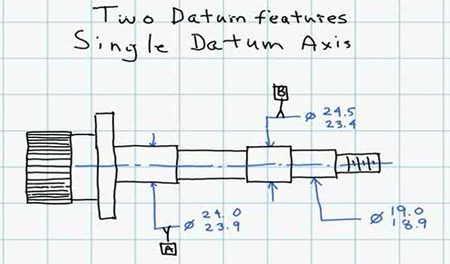 This videos overviews the specifications for two datum features to define a single datum axis and then relate a cylindrical surface back to the single datum axis. 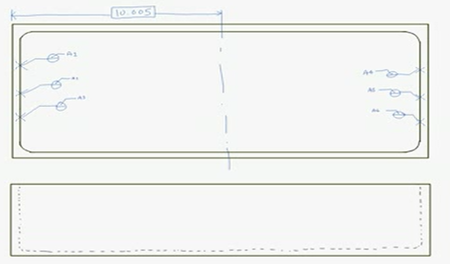 Basic drafting and specification of common hole features. 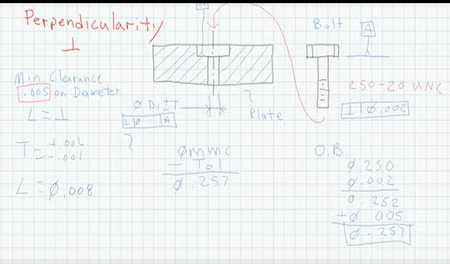 Counterbore, thru hole, countersink hole features. 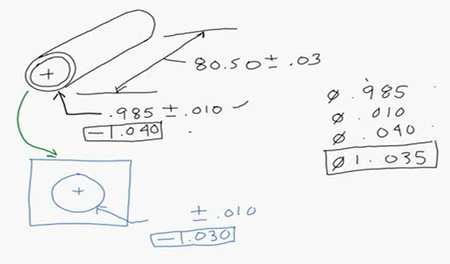 Includes drafting symbol for hole depth. 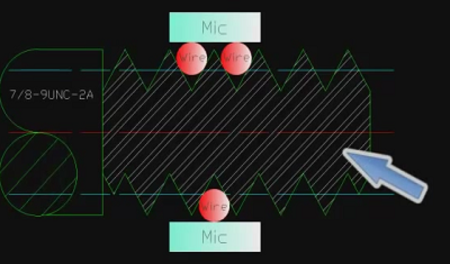 GD&T open setup perpendicularity measurement demonstration method using a ball bearing.